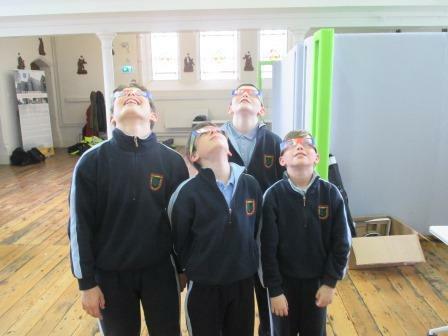 The boys from 6th Class recently took part in the Spar FAI Primary School 5 a side competition in Irishtown. 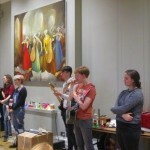 A team of eight headed off early on Wednesday morning, nervous but excited about what the day would hold. 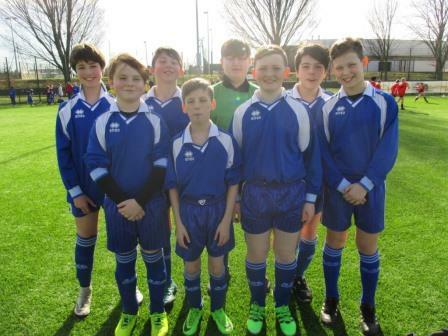 The team were strong through all their matches, with goalie Alex unbelievably only conceding one goal in total! 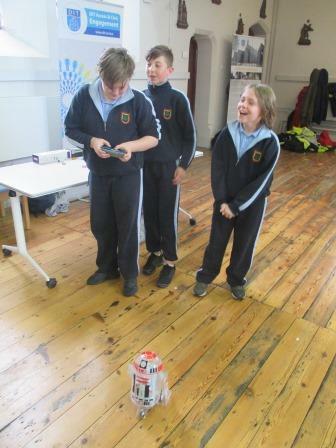 As captain, Scott gave direction and encouragement where needed and he found great support in defence from David, Mario and Nickolas. 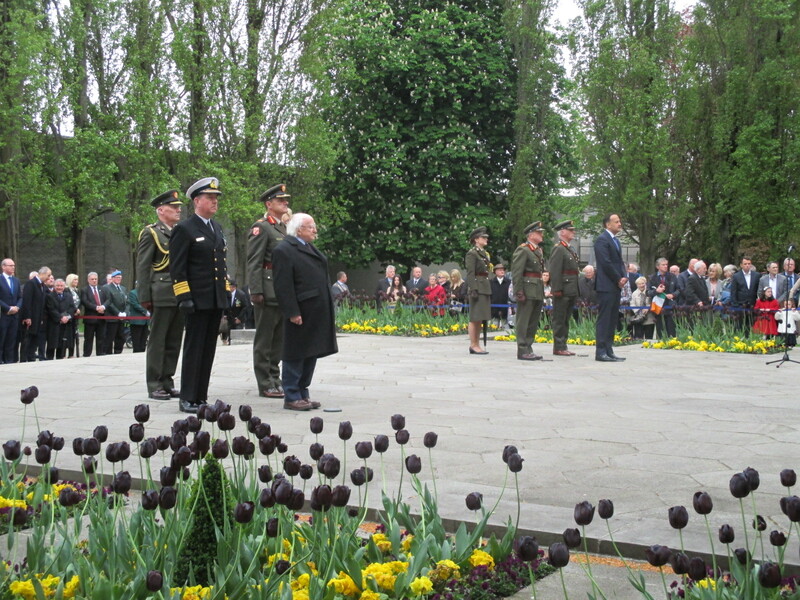 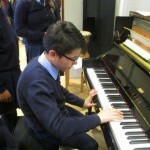 Roberto, Séamus and Lee were strong in attack and one match ended in a 5 – 0 victory. 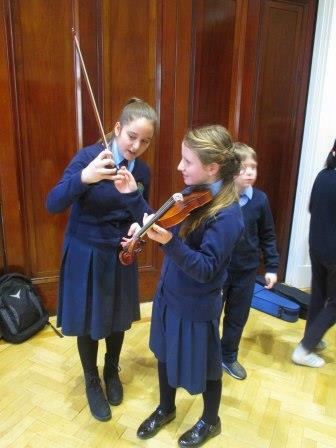 While the team only missed out on the finals because of goal difference, they all agreed that they had a fantastic day and did their school proud. 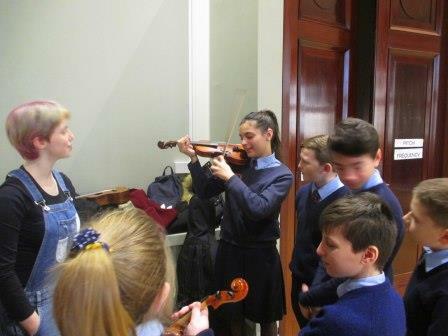 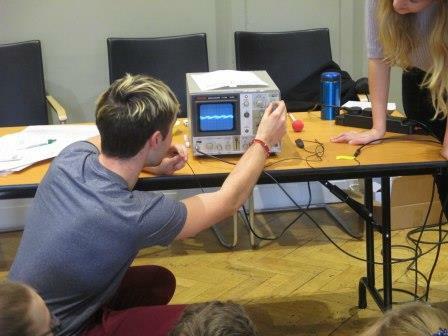 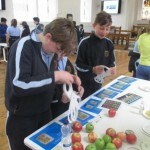 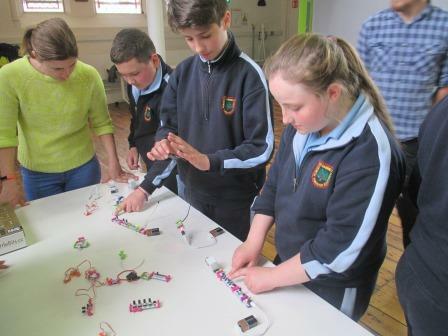 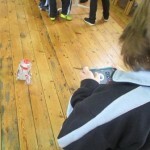 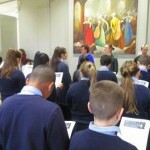 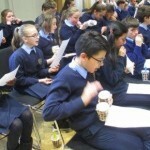 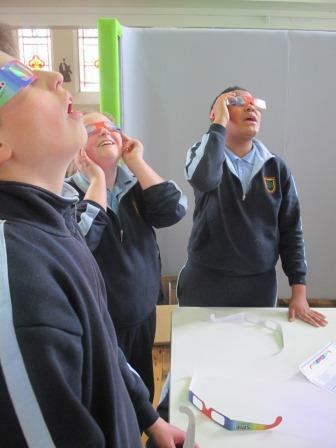 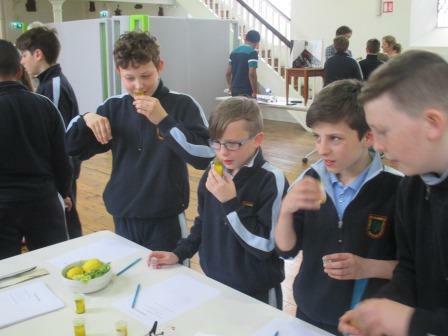 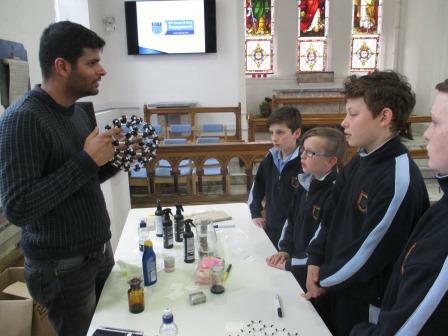 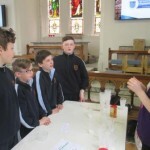 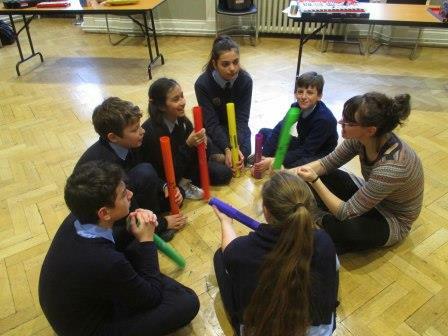 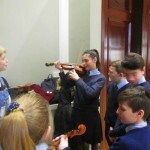 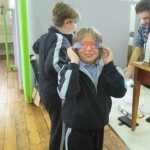 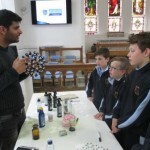 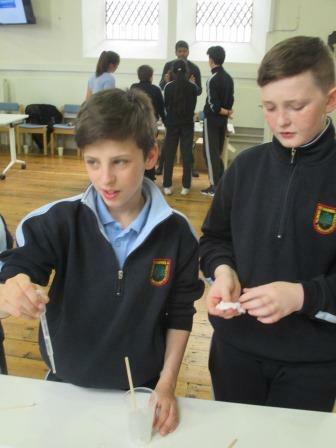 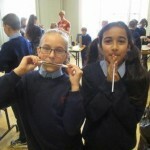 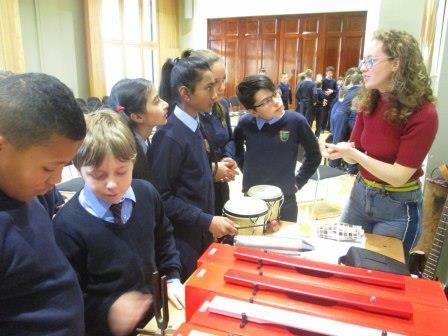 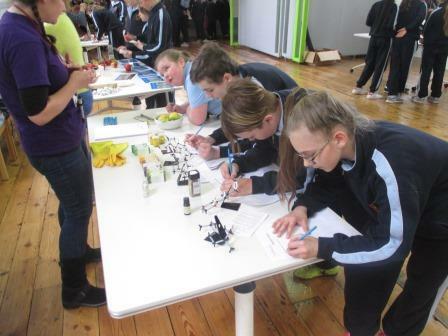 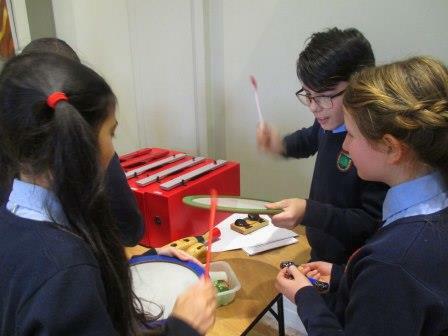 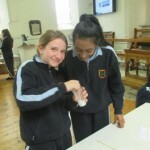 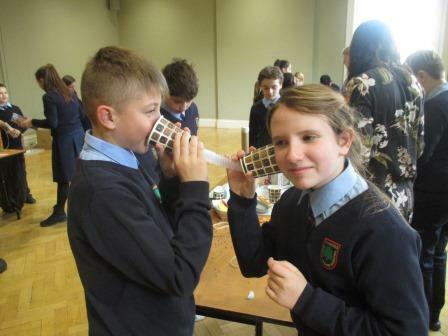 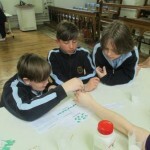 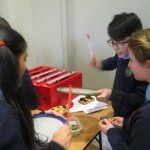 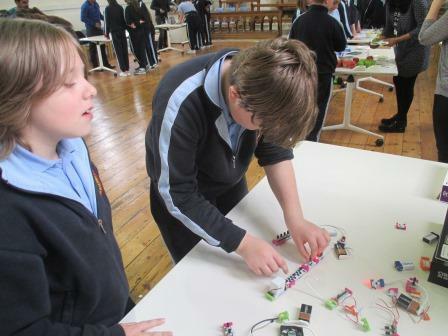 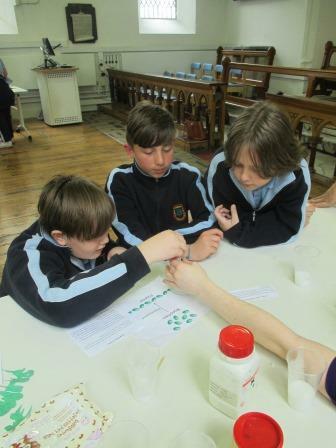 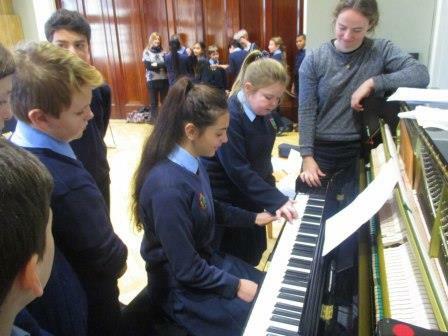 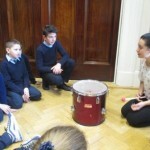 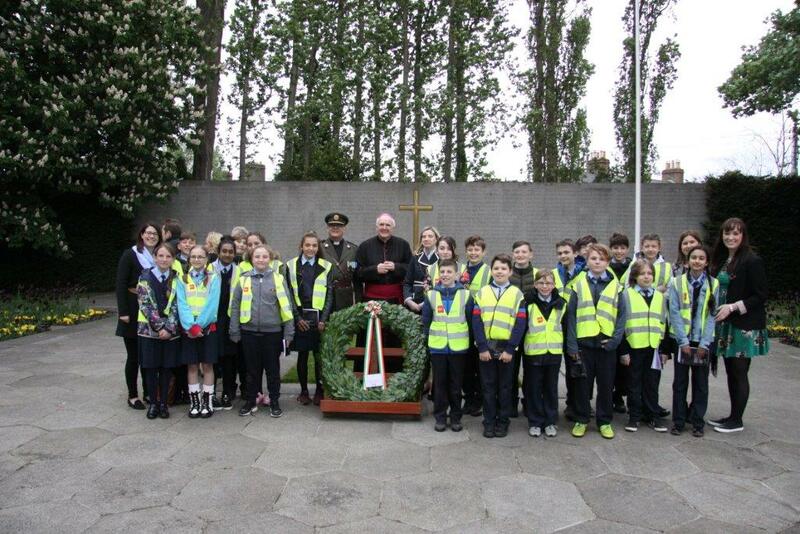 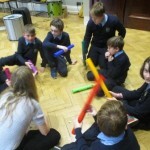 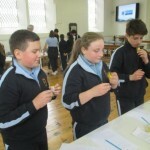 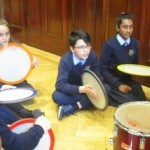 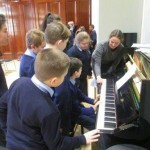 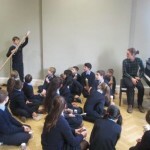 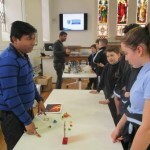 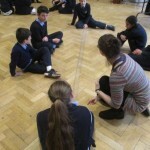 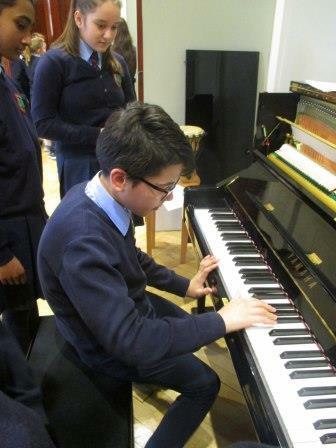 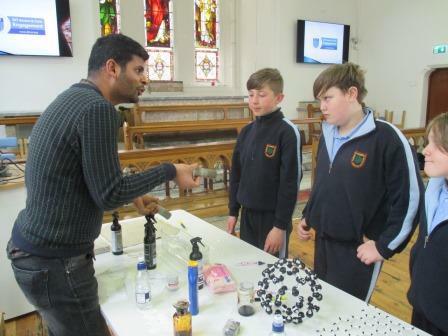 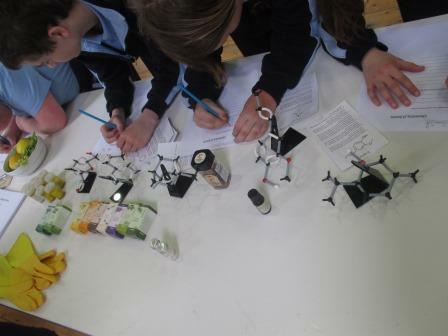 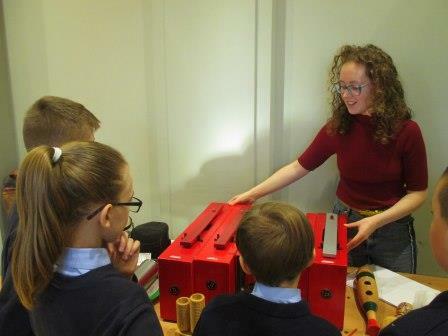 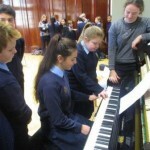 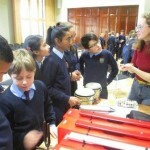 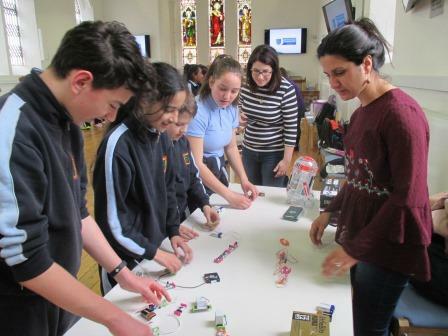 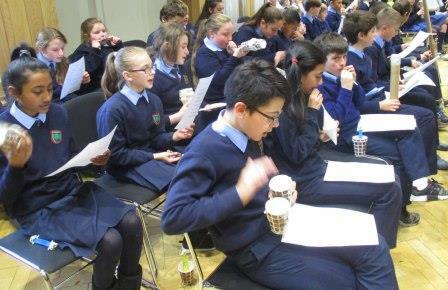 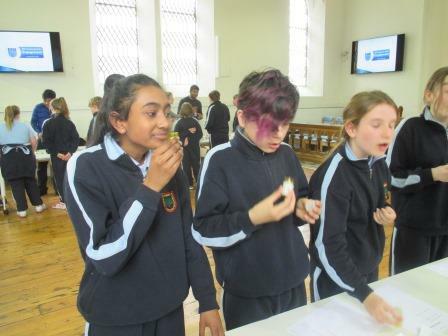 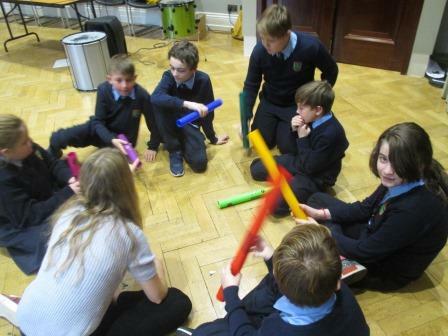 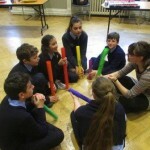 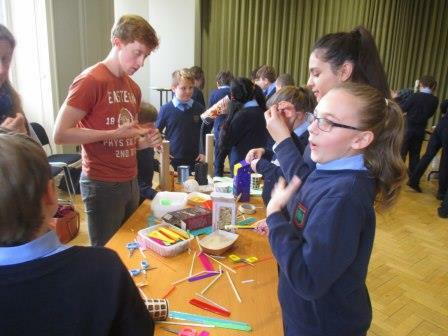 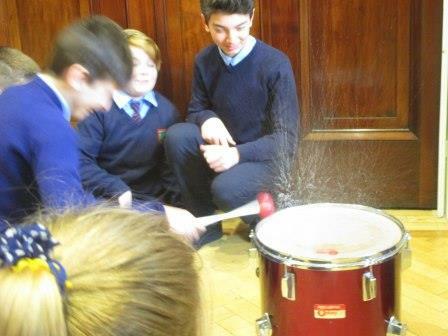 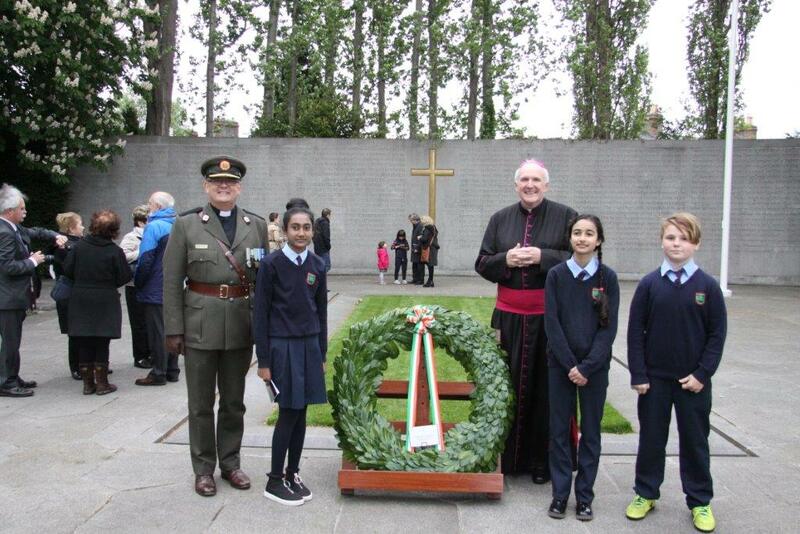 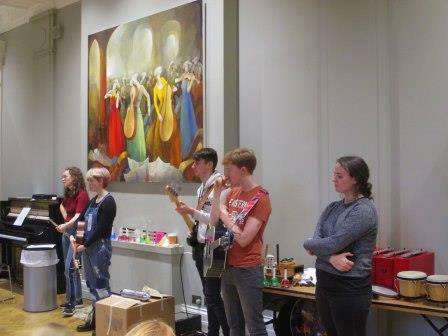 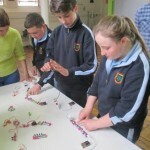 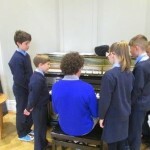 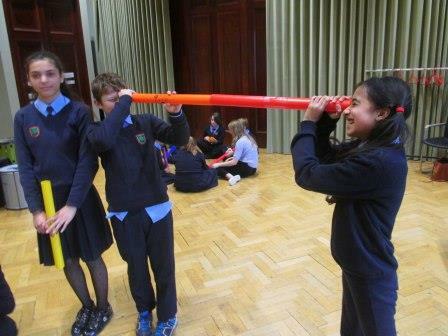 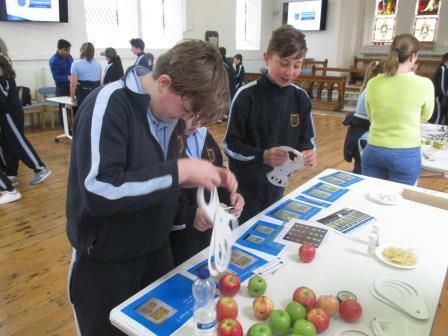 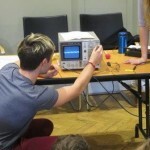 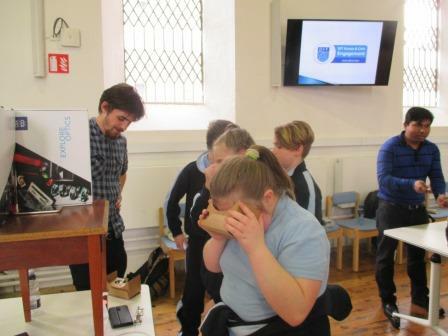 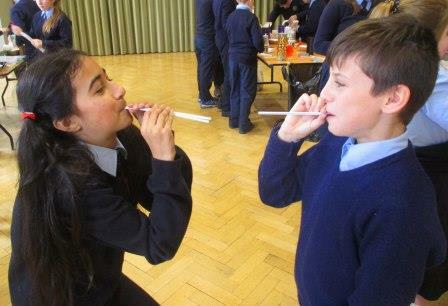 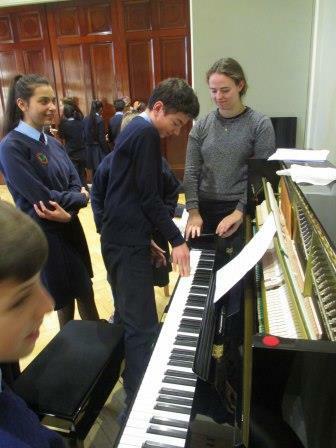 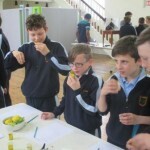 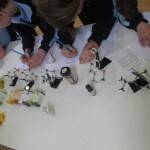 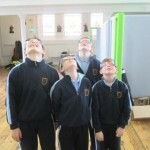 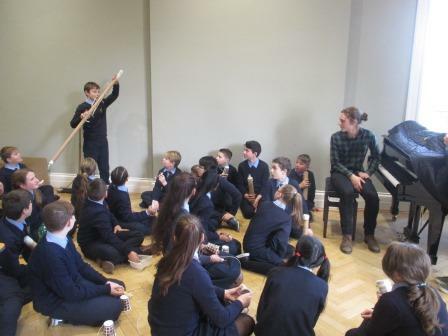 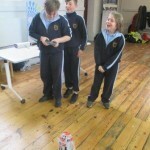 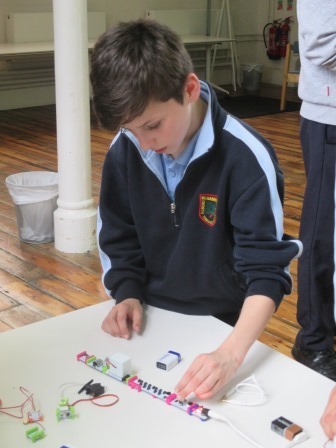 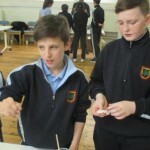 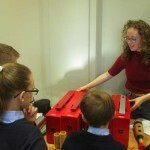 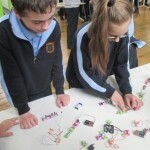 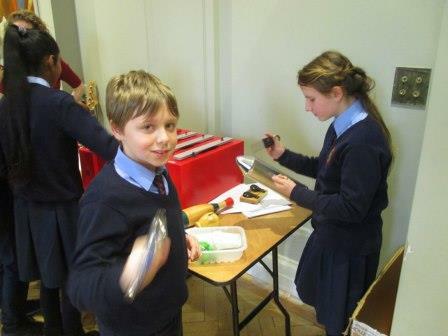 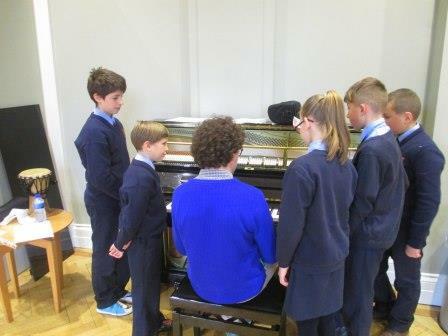 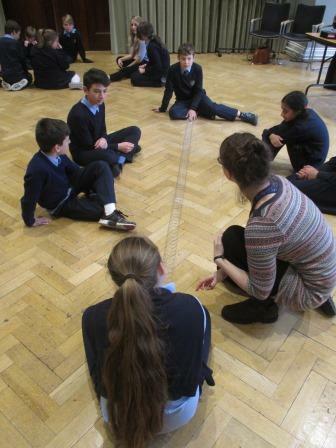 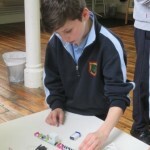 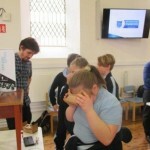 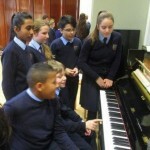 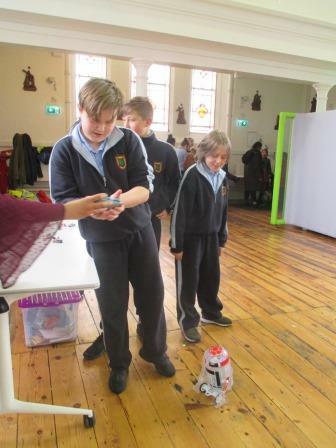 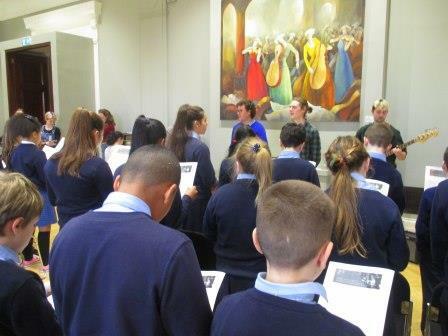 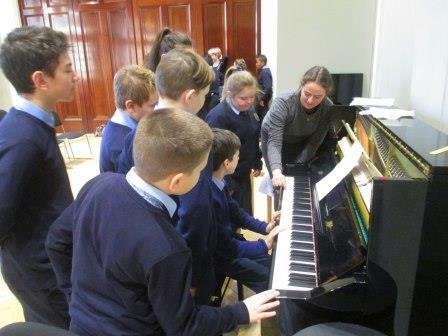 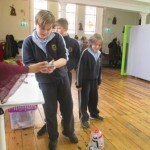 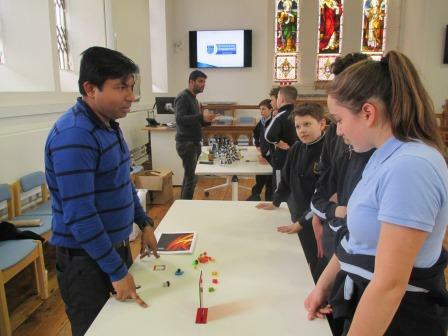 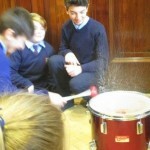 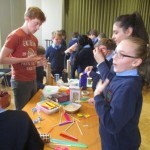 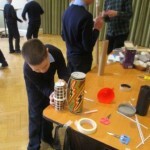 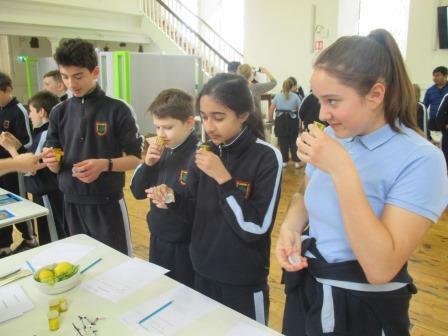 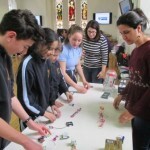 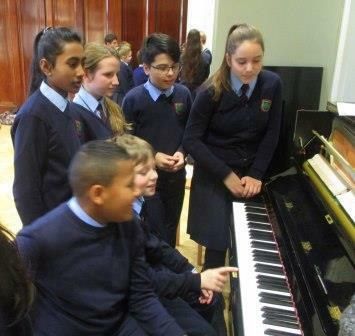 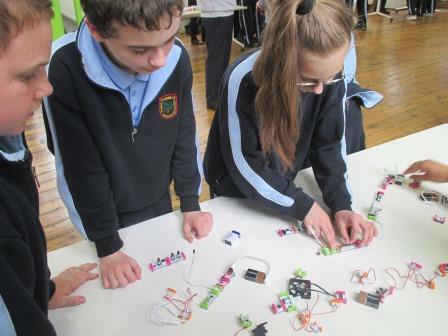 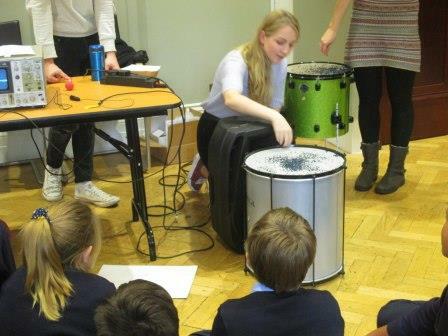 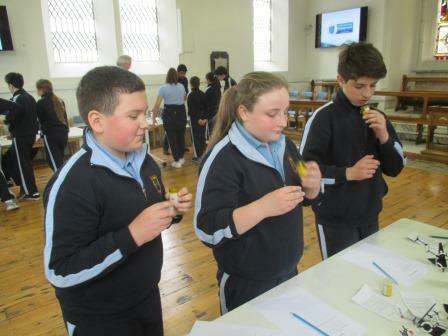 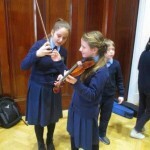 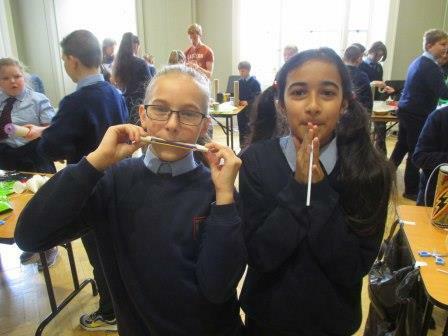 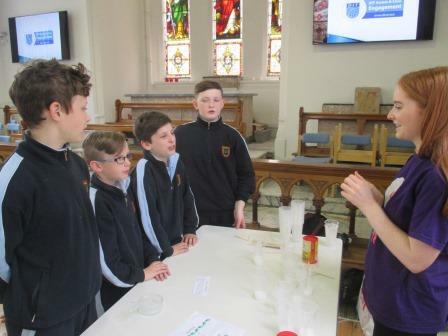 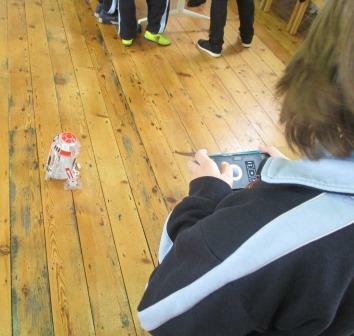 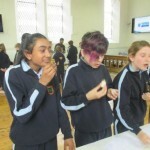 The pupils from 5th and 6th Class recently took part in Quavers to Quadratics, a collaborative initiative between the National Concert Hall, Trinity College Dublin and University College Dublin. 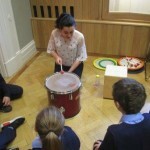 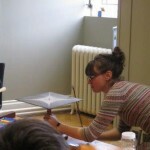 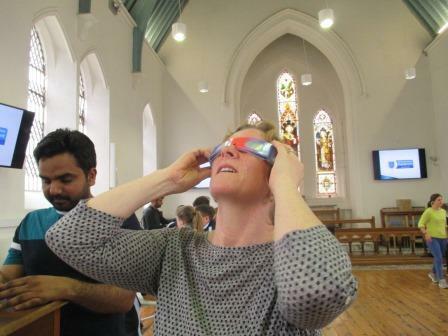 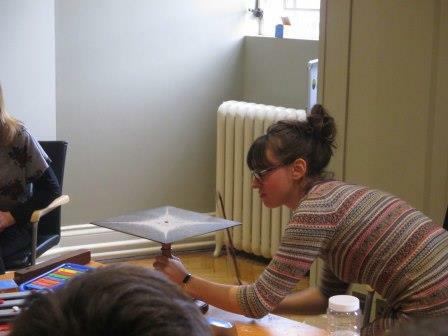 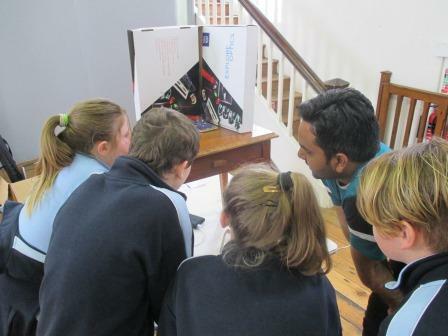 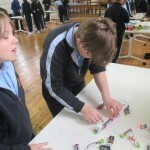 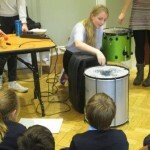 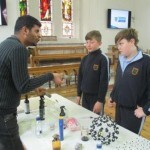 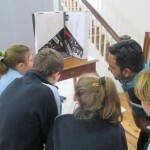 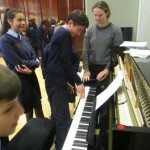 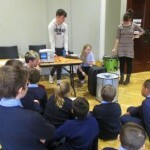 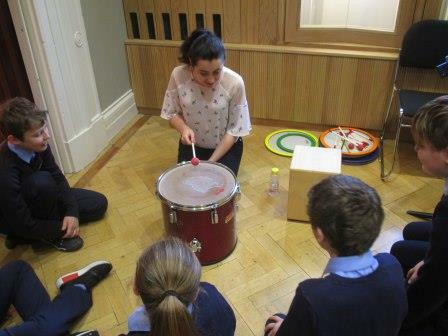 The programme is centred around enabling primary school children to explore the overlap between science and music. 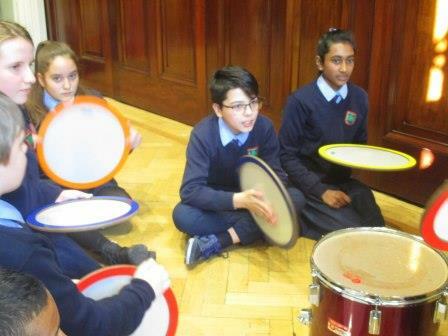 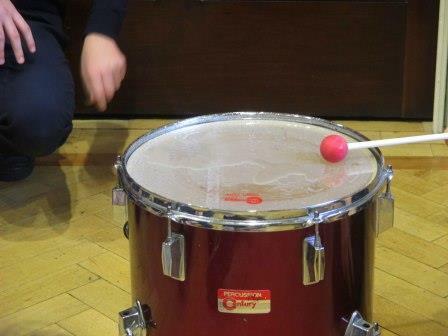 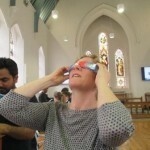 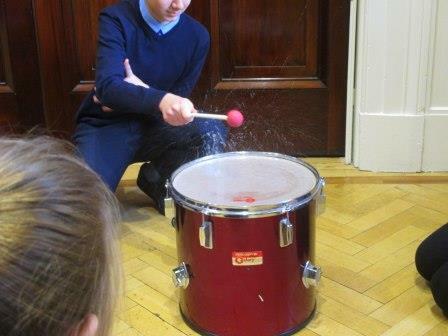 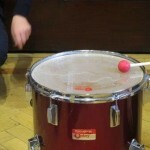 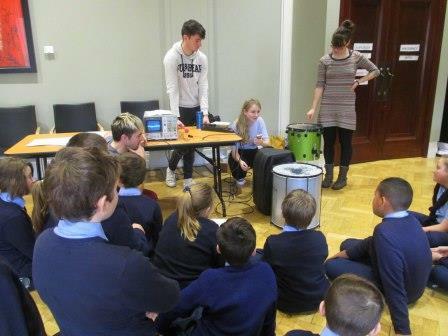 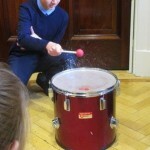 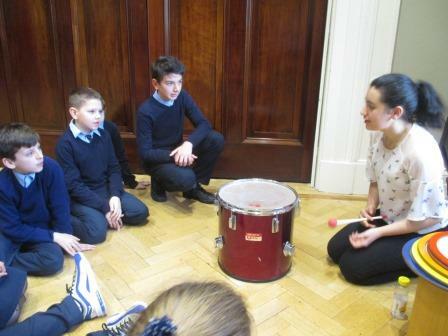 The children spent the whole day in the National Concert Hall taking part in three different workshops, (1) Seeing Sound, (2) Feeling Sound and (3) Creating Sound. 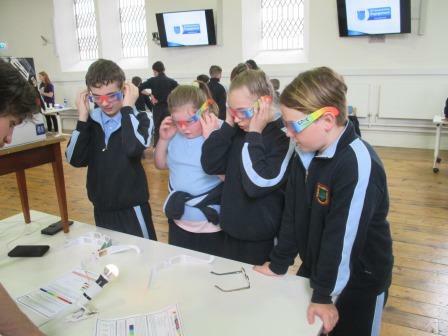 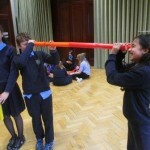 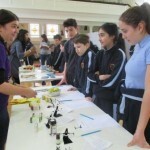 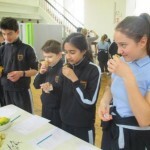 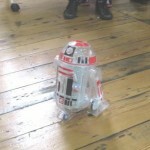 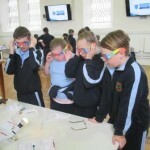 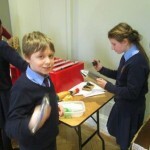 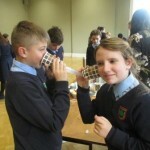 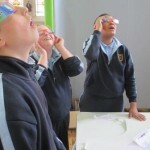 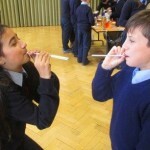 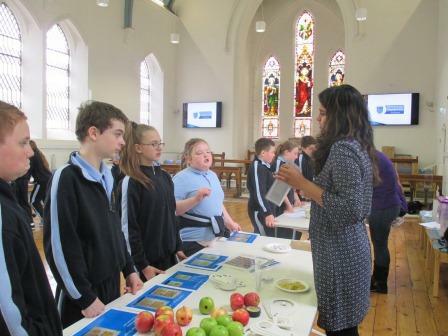 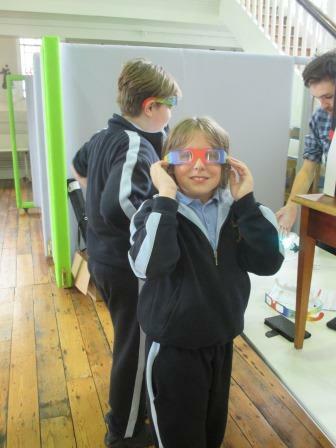 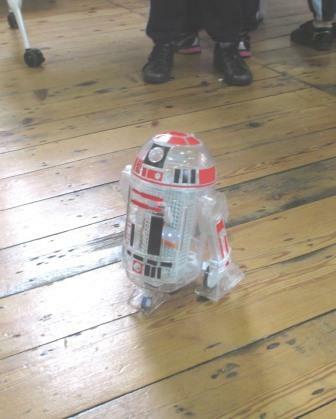 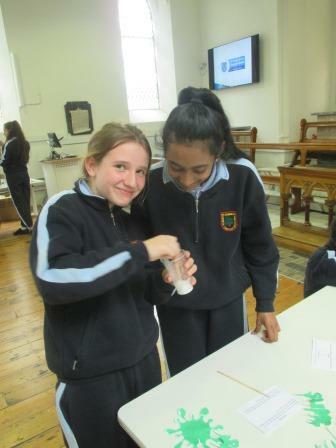 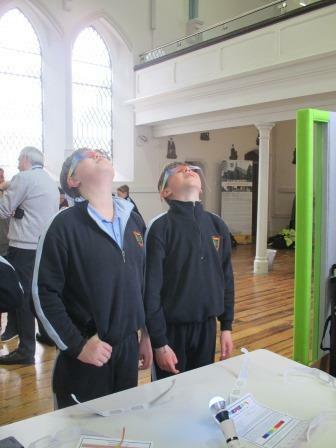 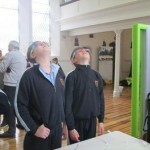 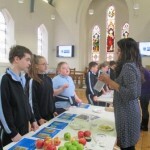 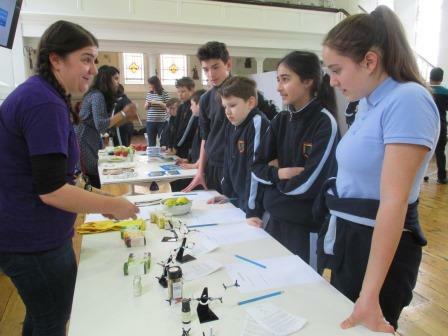 Every pupil was really engaged in the different activities and had a fantastic day.